Starting tonight, water restrictions will be imposed on Inis Oirr from 11pm to 7am on a daily basis. EXTENSIVE WATER RESTRICTIONS are being imposed in North Galway and the Aran Islands from today with some business owners saying it will cause difficulties. Beginning today, water restrictions will kick in on the Aran Island of Inis Oirr from 11pm until 7am on a daily basis. Inis Oirr hotel manager Ms Flaherty told TheJournal.ie that the restrictions will causes issues for local businesses. “First laundry, then guests, they won’t be able to take a shower at any time that they want. Flushing toilets is another thing,” Ms Flaherty said. While she noted that water restrictions are put in place yearly, this year is the earliest it has happened with it usually beginning in June. “There’s plenty of wells on the island and we have a lake that is always full of water. There is water on the island, there’s streams of water. There’s a holy well at the back of the island and there’s always water there. It’s strange because the water is there,” she told TheJournal.ie. There are no restrictions in place for the other two Aran Islands, Inis Mór and Inis Meáin, however Irish Water is urging consumers on both islands to conserve water due to the current prolonged dry weather spell. Along with the restrictions on Inis Oirr, Irish Water has issued a major water conservation notice for North Galway for similar reasons. 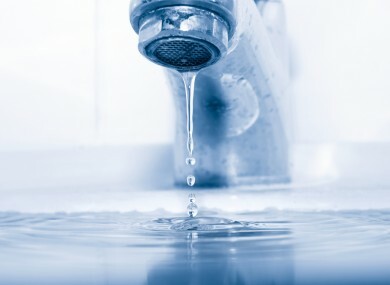 Irish Water is asking locals on the public supplies in Ballygar, Dunmore, Ballymoe, Glenamaddy, Williamstown, Mountbellew and Moylough to conserve water for the foreseeable future. Irish Oirr remains the only place in the country with complete water restrictions being implemented. Irish Water is currently rolling out the planning and design phase for the construction of two new water storage tanks on Inis Oirr. With tourist season about to get into full swing demand on water supplies will increase significantly over the summer. Because of this Irish Water is asking people to report leaks to help conserve water. Irish Water and Galway City Council have apologised for any inconvenience caused and thanked the public for their co-operation. Email “'Tourists won't be able to take a shower' - Aran Island locals worried as water restrictions kick in”. Feedback on “'Tourists won't be able to take a shower' - Aran Island locals worried as water restrictions kick in”.